Students must complete a total of 24 credits (minimum of 4 credits with Abeka Academy in grade 12). 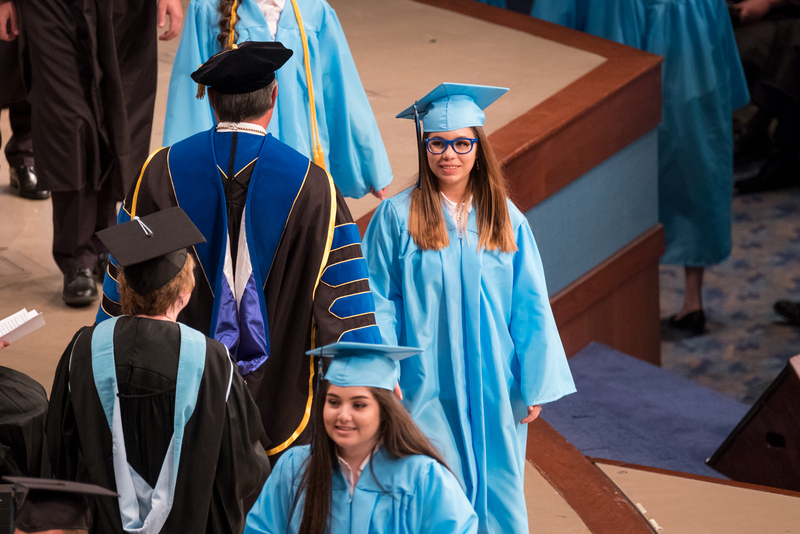 Class rank is based on an unweighted GPA with those others who complete graduation requirements and submit for validation by May 31 of their current school year. 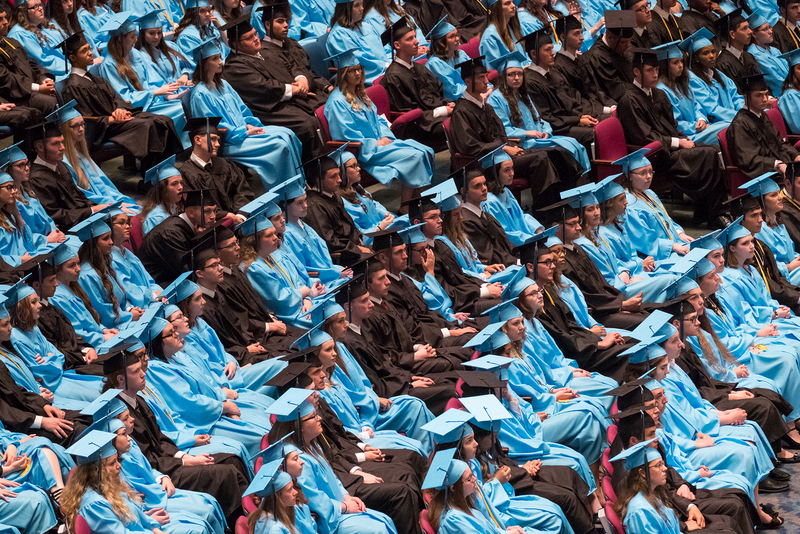 College-bound students are encouraged to take the ACT or SAT. Accredited students use high school code 101388. 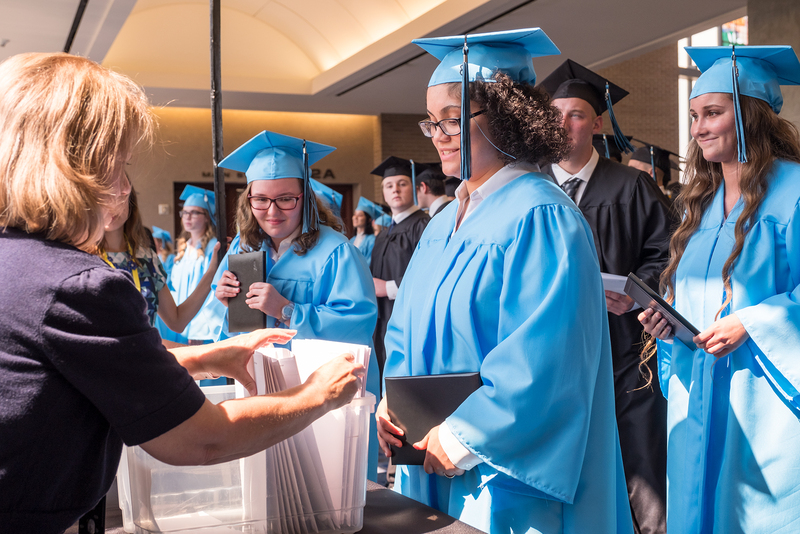 Diplomas are issued to graduating seniors when graduation requirements have been met. All coursework must be completed. All required credits must be completed. All lessons, whether streaming or DVD, must have been viewed. If applicable, all DVDs must have been returned. 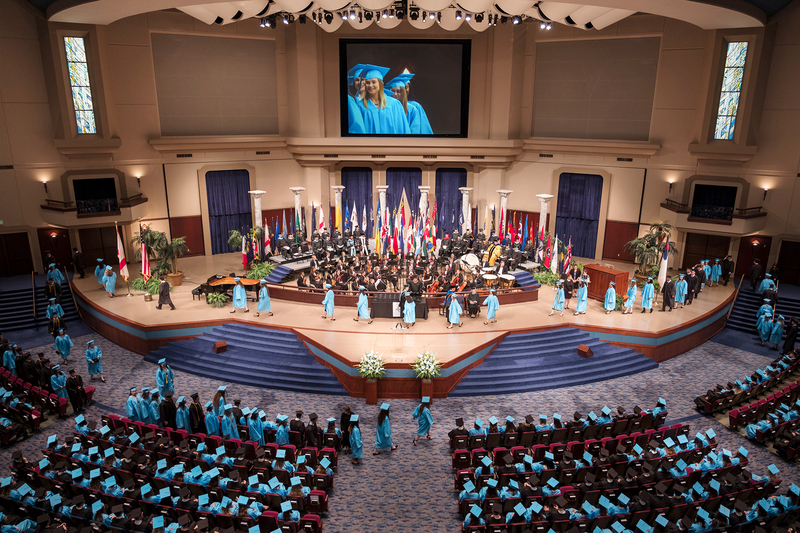 Contact us at graduation*abekaacademy|org for more information. 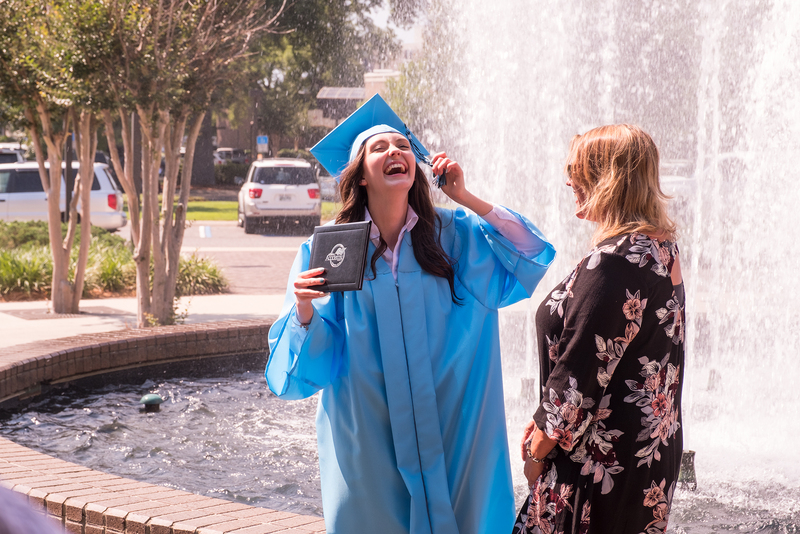 All eligible Accredited Program graduating seniors and their families are invited to attend the Abeka Academy graduation activities and ceremony held on the beautiful campus of Pensacola Christian College. Eligible students will receive additional information in December. Have a grade 12 begin date on or before November 26, 2018. Make sure that all first through third grading period completed progress reports with required work are in the Abeka Academy Office by April 1, 2019. 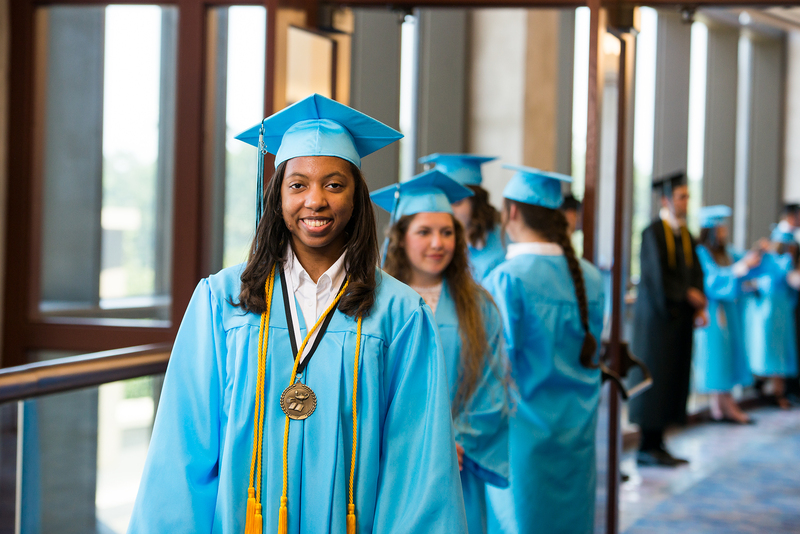 Additional information regarding fees, dates, etc., will be sent to graduating seniors. Accommodations—Discounts are provided by many local area hotels. Learn More. 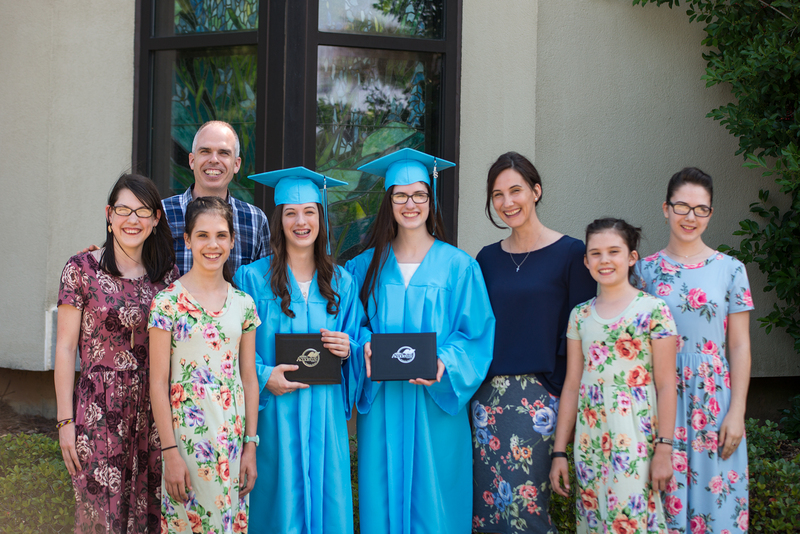 Accredited enrollment—If your child is not yet a part of the Abeka Academy Accredited Program, purchase an Abeka Academy Enrollment. After you check out, choose the accredited option on your dashboard. If you are currently using Independent Study and would like to switch to the Accredited Program, contact us for help and details. 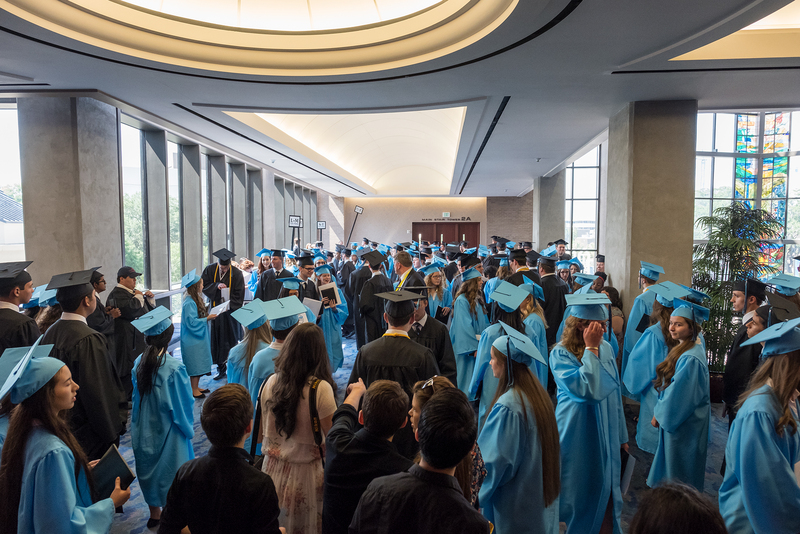 Graduating seniors participating in the Abeka Academy graduation ceremony are eligible to receive academic awards. PCC offers comfortable lodging options at Campus House, which is adjacent to campus and only a short walk away. If you’re looking for lodging in town, discounts are provided by many area hotels. Contact the hotel directly to inquire whether a discount is offered to PCC guests. 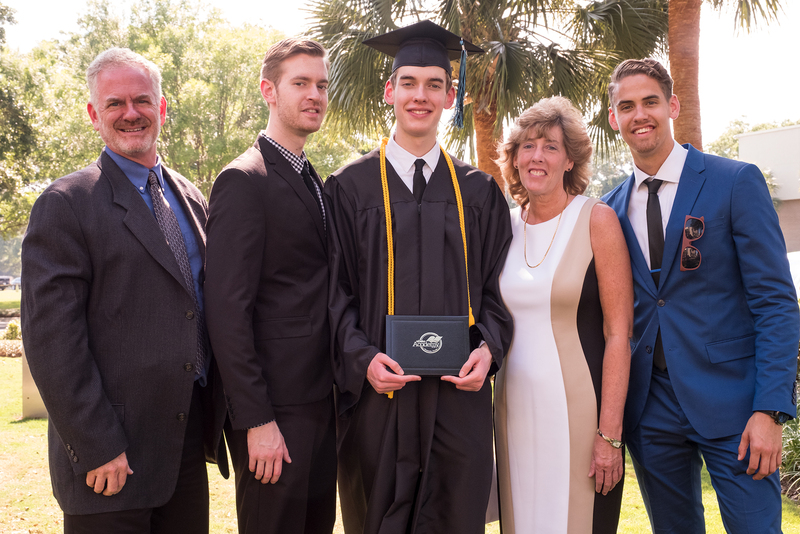 Last May, 491 Abeka Academy seniors and their families celebrated at the Commencement Exercises on the campus of Pensacola Christian College. Festivities began on Friday afternoon with a Welcome Meeting, campus tours, and the Sports Center Spectacular. 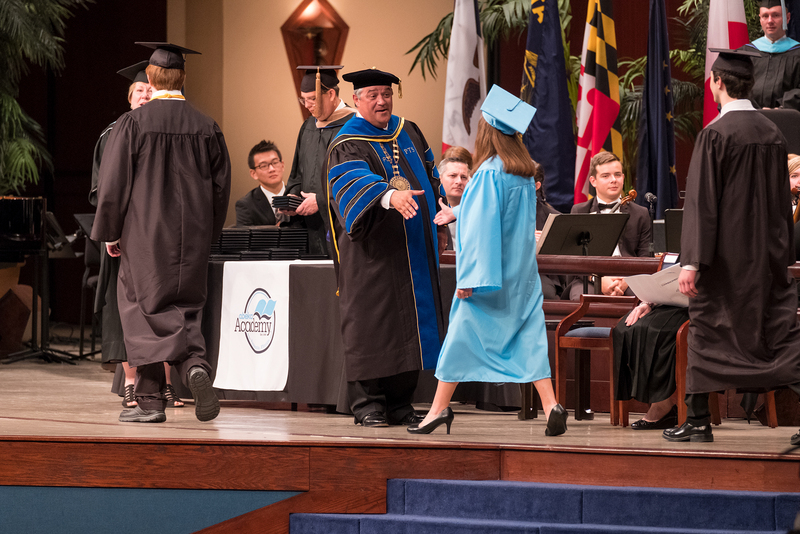 On Saturday, the graduates received their diplomas at a special Commencement ceremony. Dr. 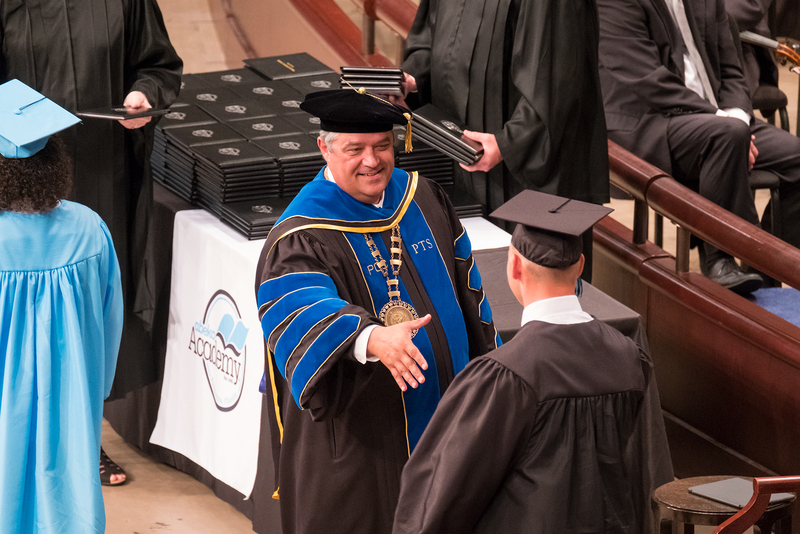 Troy Shoemaker, President of Pensacola Christian College, delivered the challenge to the senior class. 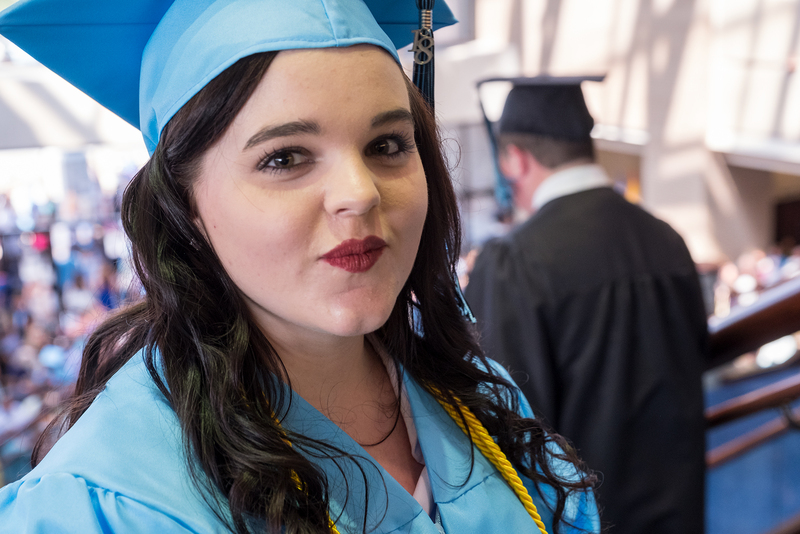 Copyright © 2019 Pensacola Christian College. All rights reserved.